Most people instinctively know that birds are important to ecosystems: birds pollinate plants and spread seeds; they eat insects that are considered pests and even scavenge carcasses, returning nutrients to the environment. But birds can have a direct impact on humans and human activity. Coalminers used canaries, for example, as early warning indicators of carbon dioxide and methane buildup well into the twentieth century. Population collapse in some bird of prey species in the 1960s led to the banning of DDT-based pesticides in the 1970s. More recently, die-offs in the American Crow population serve as early indication that West Nile virus is present in the local mosquito population. Perhaps most relevant for today, tracking bird migrations can tell us much about climate and climate change. Bird species particularly sensitive to climate change may start northward migration earlier in the spring and delay departure for their wintering grounds until later in the autumn. In even more extreme cases, species unable to cope with warmer temperatures may migrate further north. 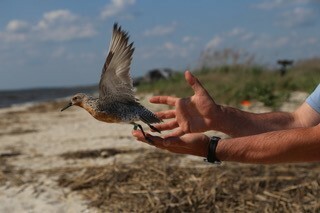 Traditionally, birds have been tracked through banding – attaching a metal band with a unique identifier and contact information to the bird’s leg. The main drawback of this method is it requires the temporarily recapturing of birds to record band information. Of course, birds don’t always frequent places that are easily accessible to humans, which leaves gaps in tracking data. This is where Motus, an initiative of Bird Studies Canada in partnership with Acadia University, comes into play, with a more high-tech approach. In the Motus system, a small radio transmitter (tag) affixed to an individual bird, transmits a unique identifier. These radios can be glued to the bird’s back or, if required, configured as a bird backpack. They are small and light enough that they can also be carried by bats or even large insects to support other types of research. When a tag-equipped bird passes near one of more than 300 Motus receiving stations spread throughout the western hemisphere, the station receives and stores the tag’s unique identifier. Aggregating information from the receiving stations allows researchers to track individuals across thousands of kilometers. With funding from CANARIE’s Research Software program, Bird Studies Canada is creating a research portal that ties together data from all Motus receiving stations, including historical data, to allow more researchers to manage, analyze, explore and visualize bird movement data on their path to discovery. This funding will also allow Motus to increase automation. Currently, most receiving stations, based on the developed-in-Canada SensorGnome, are located outdoors, away from any access to wired communications networks. Retrieval of tracking data from remote stations requires that a technician visit the station and copy its tracking data onto a portable storage device. Plans are underway for Motus developers to experiment with remote access to these stations via cellular technology. To encourage national and international collaboration, the Motus web portal will make data summaries and visualizations publicly available for education and citizen science purposes, and will include a robust application programming interface (API) to allow other research software to access the collected datasets. 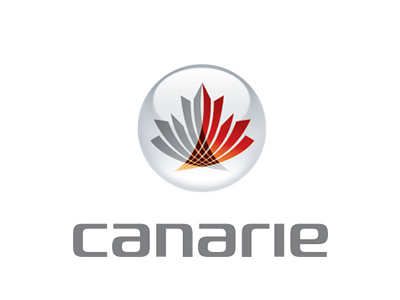 As with all CANARIE-funded research software, Motus will be made available for free on the Canadian Research Software Registry, to encourage re-use by the global research community.